Can OPEC Pull A Last Minute Deal Together? The markets are waiting to see whether or not OPEC will be able to finalize a production agreement this Wednesday as potential spoilers begin to surface. 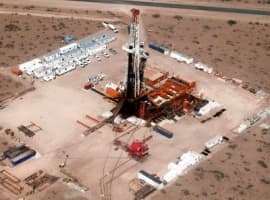 The group agreed in principle to trim its production in September, reversing a decision made on Thanksgiving Day 2014 that saw the price of oil plummet as the members of OPEC opted to protect market share rather than the value of crude. Iran continues to be a concern, however, as the Islamic Republic drives towards its pre-sanction production levels. Iran has repeatedly said that it will join any action to cut production before reaching pre-sanction levels of production, and it has less incentive to cut than other members of OPEC. About 25 percent of Iran’s budget comes from oil revenues, compared to 70 percent for Saudi Arabia and 40 percent for Venezuela, leaving the country less exposed to another fall in oil prices if OPEC is unable to reach an agreement in Vienna Wednesday. The reluctance of Iran to join the agreement, coupled with Russia saying that it will freeze, but not cut, production has Saudi Arabia concerned, officials told The Wall Street Journal. 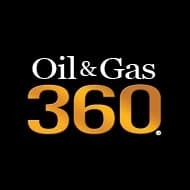 On Sunday, Saudi Energy Minister Khalid al-Falih said the oil market will rebalance on its own and questioned the need for production cuts, potentially positioning for a failed meeting, according to John Kilduff, founding partner of Again Capital. The drop in prices appears to have brought Iraq back to the bargaining table, but Iran may not be ready to buckle just yet, Kilduff told CNBC. “You saw the talks break down. The Iranians were accusing the Saudis of reneging on some big promises. I assume they were reneging on Iran being exempt from the cuts,” he said. 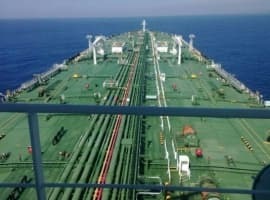 A former Iranian oil official, Manouchehr Takin, was more optimistic, saying the group will likely come to an agreement this week. The potential effect of a deal on oil prices is binary, said Helima Croft, head of global commodities strategy at RBC. “We think it tests $40 if there’s no deal, $50 if there is a deal,” she said. Oil prices seesawed after the talks looked doomed to fail this weekend, but futures rebounded after Iraq’s oil minister said he was optimistic for an accord and that his country will cooperate with other members. Even if OPEC makes a cut to 32.5 MMBOPD, removing roughly 1.1 MMBOPD from markets, it would still take nearly 17 months to work inventories down to normal levels, points out Roger Read, senior analyst with Wells Fargo. Data from both the EIA and IEA suggest that some draws are already being made from global inventories, indicating that marks may be close to balance already, Read said. 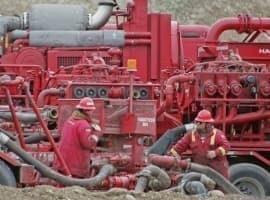 Oil and gas company executives have found some solace in sharpening their pencils and keeping their companies’ noses to the grindstone, lowering expenses and pushing the limits of technology to yield higher and higher efficiencies and cost savings in the drilling and completion process, particularly in the shale beds of North America. Today, January WTI opened under $45.50 per barrel, by mid-morning traded above $47.50, then moved to just under $47 by afternoon. Suckered Again: How Likely Is An OPEC Production Cut? Will Trump Send Electricity Bills Soaring? This is not a big deal and the parties are not that far apart. Without Libya, Nigeria, Iran or Iraq cutting from OPEC October production numbers, a 4.5% cut of the production from the remaining 10 members is about 1.05 million barrels per day. Iran & Iraq are reported to have acquiesced to cap at their OPEC secondary reporting numbers vs. their own made up numbers that were a few Mbpd higher each. If that is correct, the deal is done, otherwise, the Saudis never intended to consummate a deal. If the Saudis cap at 10 Mbpd, they are effectively over subscribing and if that doesn't get Iran and Iraq to cap at 3.7 and 4.6 nothing will as all parties go home as winners based on the public narrative. The result would be an increase in OPEC revenues by nearly a quarter of a trillion dollars next year. If the parties let a hundred thousand barrels per day get in the way, their was never an intention to allow the deal on geopolitical grounds. However, with trump in office, they may want to take the bird in hand while they have it in hand!